Mulan premiered on June 5th, 1998. Lauded by audiences and critics alike, the film was a huge success, earning nominations for two Golden Globes and an Academy Award. Decades later, it remains one of the most beloved Disney classics of all time. 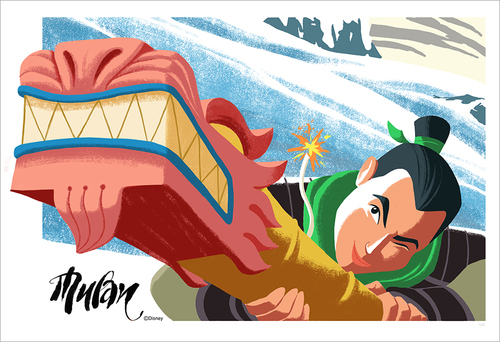 This past autumn, Gallery Nucleus proudly celebrated the film with a tribute exhibition for Mulan’s 20th anniversary. The enthusiastic response to this exhibition is a testament to its beautiful storytelling, iconic characters, and empowering message that is sure to inspire generations to come. We spoke with brothers Tony Bancroft (co-director of Mulan), and Tom Bancroft (supervising animator on Mushu) about their thoughts on the exhibition and the film all these years later. What would you say was your biggest challenge in working on Mulan? Tony Bancroft: Everything! I was a first time director on Mulan. When I was asked to co-direct the movie with Barry Cook, I was 27 years old. I came out of animation at Disney but there were many departments that I had never worked with yet. I didn’t know a lot but I was passionate about making a difference. The thing that made it work for me was the awesome crew of hugely talented artists of the Disney Florida Animation Studio. They were the best people I have ever worked with. Tom Bancroft: Everything. There were so many firsts for our Disney Florida Studio, for me personally, and even for our family on that film that my head was reeling constantly. My twin brother was made my boss, I was a first time supervising animator and designing a Disney character for the first time, and our studio had its first feature film we were making all by ourselves. Every department had new supervisors taking on greater tasks than they ever had before. To say we were excited is an understatement, and I think its one of the "mystery" elements that still makes the film special. What did you love about working on the film? Tom: The crew. I loved collaborating with all the artists- with most of us growing up together (artistically). I loved working with my head of clean up to fine tune Mushu's design, and every scene of Mushu that my team animated was a surprise. Also, teaming up with peers like Mark Henn, Barry Temple, and Aaron Blaise on scenes where Mushu interacts with Mulan, Kri-Kee, or the great ancestor were real highlights. Tony: Two things: The crew and the story. The crew were so passionate about making their work the very best they could- it was inspiring for me. There was such hard work and care put into each and every frame by our team. And the story of Mulan was something that I felt was engaging and important. I think we all felt that it could be a game changer not only for Disney, but also for the world. We had such an enthusiastic response to the 20th Anniversary Tribute Show. Why do you think Mulan is still so beloved after all this time? Tony: I think it endures all these years because its a story with a lot of impact on peoples lives. It teaches the lesson to be true to who you are, no matter what others say you should be or do. It also questions a woman’s role in a society that was known to keep them down. Our society and the generations that have grown up with Mulan, believe in and are changing the world because of these valuable lessons. I think it had to be said, back then and now. Plus, it’s a lot of fun. Tom: For one, this was one of the first big American animation releases that focused on Asian culture. Come to think of it, not a lot have been done since either. I will never forget, about 6 months before Mulan was released, a Chinese-American dad came up to me and told me how he couldn't wait to share this film with his young daughter. He boldly told me he was ashamed at how his country had treated women for so many centuries. He said this was the only story he knew of from his childhood that celebrated a brave Chinese woman. He wanted to share his love of Disney and his pride in his culture with his daughter in a positive way. I still think of that dad and I’m proud to say we we gave him the film he wanted so badly. Going off of that, in many ways, Mulan subverted the typical “Disney Princess” model of her time. What are your thoughts on the ways in which the film challenged traditional gender roles? Tony: It was all about gender roles! In some regards we played with this in a comical way (“A Girl Worth Fighting For”) and in other ways in heartfelt ways (Mulan’s “Reflection" song) but either way, we dug deep into the topic of what traditionally was a women’s and what was a man’s role especially in China during that time period. But the impact is felt by the audience who, no matter what time or place, can relate with Mulan and her feelings of not being able to be who she is inside. She’s one of the only Disney “princesses” that doesn’t change through the journey of the story. Her change comes by changing who all of China views her as a woman. Tom, you’ve worked on so many Disney classics over the years (Aladdin, The Lion King, Pocahontas, Tarzan... the list goes on!). How did your experience on Mulan differ from the other films you've worked on? Tom: So many Disney films are just plain fun. Entertaining. Only a few have touched people in a deeper way. I know I was working on all the sections of the film that were meant to be funny (working on Mushu), but as a young father at the time, I walked away from the experience surprised by the heart of the film. It hit me sometime after we released the film that it wasn't the humor that I was most proud of, but the fact that we had reintroduced the word "honor" back into society. Especially American culture. Honoring your family and your important place in that family is something I want my children to always hold on to. What excites you about the future of animation, and the types of stories being told? 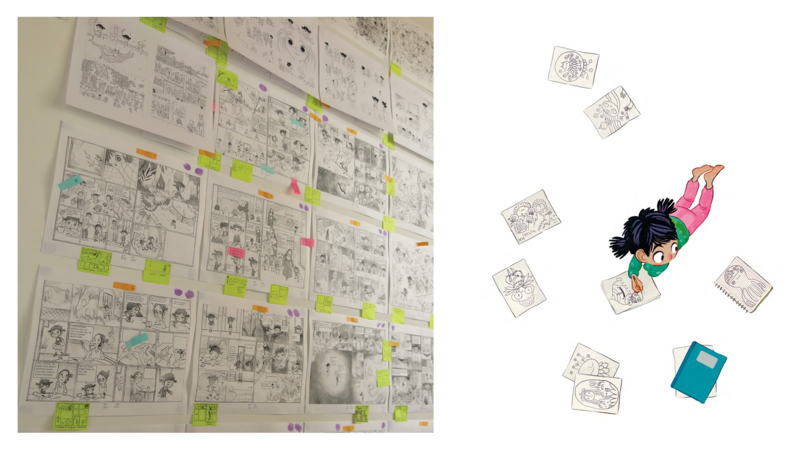 Tony: What excites me about the future of animation is the never-ending exploration into the medium and the kinds of stories we can tell and involve audiences in. I’m equally excited to see more and more women joining the talent pool of creators they will be the ones to bring new stories and experiences to audiences like we have never seen before. And finally, any thoughts on the upcoming live-action adaptation? Tom: Ha! Seriously, I'm not sure I have a strong opinion. I like anything that gets people talking about our animated version- even if it is just to compare them once this film comes out. As with all the of "remakes", I just want them to change things a bit. In my opinion, the least successful remakes stick too closely to the original. Tony: I’m glad they are doing it! While I haven’t been a involved with the production at all, I think I’m just as interested to see what they do as any Mulan fan. I haven’t always been a fan of the remakes that Disney has done though. Many have been slavishly following the animated originals too much. I think they are more successful when they have a unique take on the story and characters. I am hopeful Mulan will be in this latter category. Tony and Tom Bancroft host a show called The Bancroft Brothers Animation Podcast. Find Tony on Twitter and Instagram, and Tom on Twitter and Instagram. In the dedication for the new book, Star Wars: Women of the Galaxy, author Amy Ratcliffe writes three words: For Carrie Fisher. The first female lead in the Star Wars universe, Carrie Fisher’s Princess Leia is at the very heart of the story that started it all. A woman and a fighter, she demonstrated to an entire generation that those two things aren’t a contradiction. Like Leia, the women Ratcliffe highlights in this book are strong female characters, yes, but they are so much more than that. 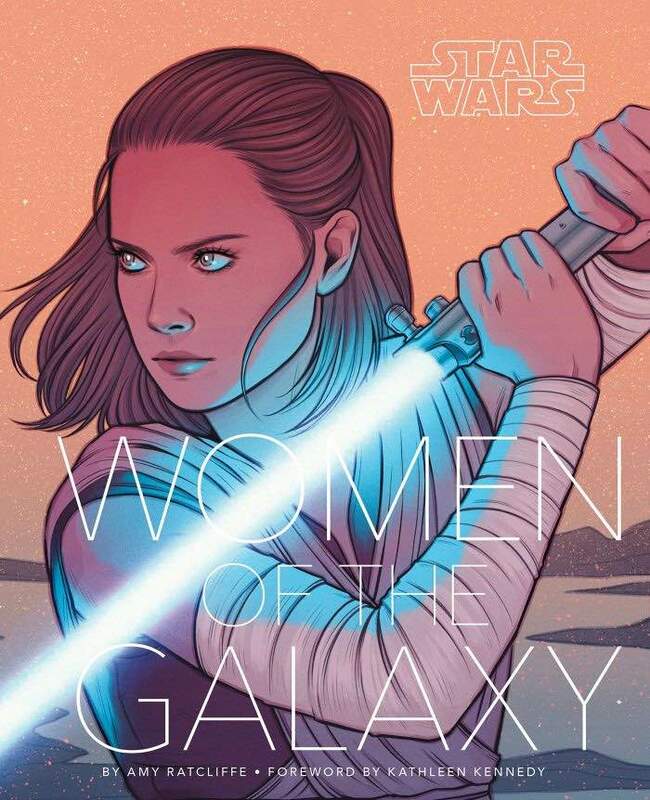 These are vulnerable female characters, hot-headed female characters, kind female characters, rebel female characters, struggling female characters, villainous female characters.... Star Wars: Women of the Galaxy emphasizes that everyone has a story worth telling, no matter her role. Women are never just one thing, and in the words of Amy Ratcliffe, “stories are never just stories”. With profiles of 75 fascinating females from Alderaan and beyond, plus brand-new illustrations by incredible female and non-binary artists, this book is evidence that the Star Wars we know and love would not be possible without the women contained in its pages. 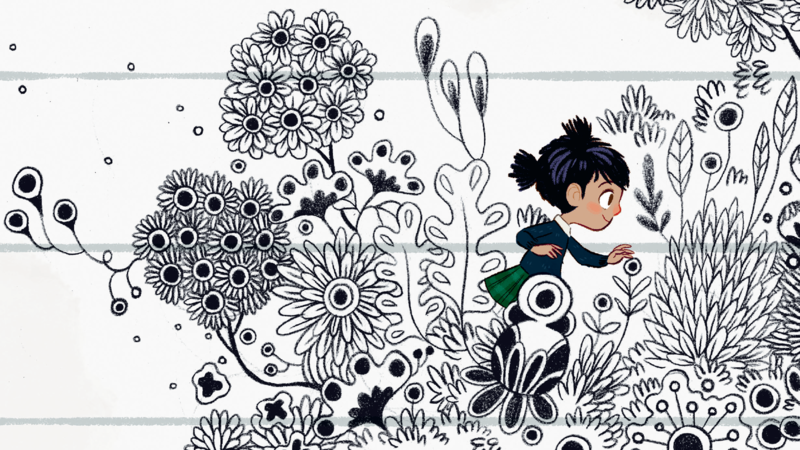 Check out our interview with Amy Ratcliffe as she speaks about her process, favorite characters, and why we need more books like this one. 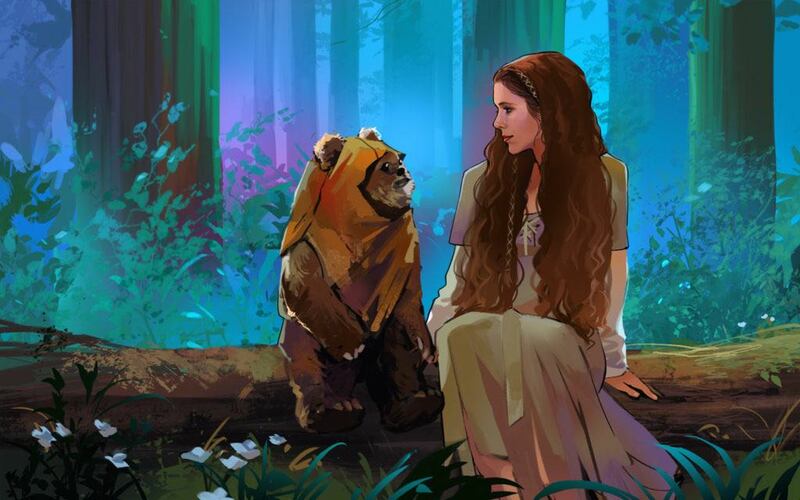 As a huge Star Wars fan, what did it mean to you to write Star Wars: Women of the Galaxy? It’s been a dream of mine to write a Star Wars book, so I'm still pinching myself over seeing my name on Women of the Galaxy. I've been passionate about seeing more representation in the galaxy far, far away, and this book highlights so many incredible characters I've admired and championed. I could not imagine a more fitting topic for my first book. In researching the book, what surprised you the most? Though I was familiar with most of the 75 characters featured in the book, I definitely encountered a few new faces and a lot of new details as I revisited stories during my research. 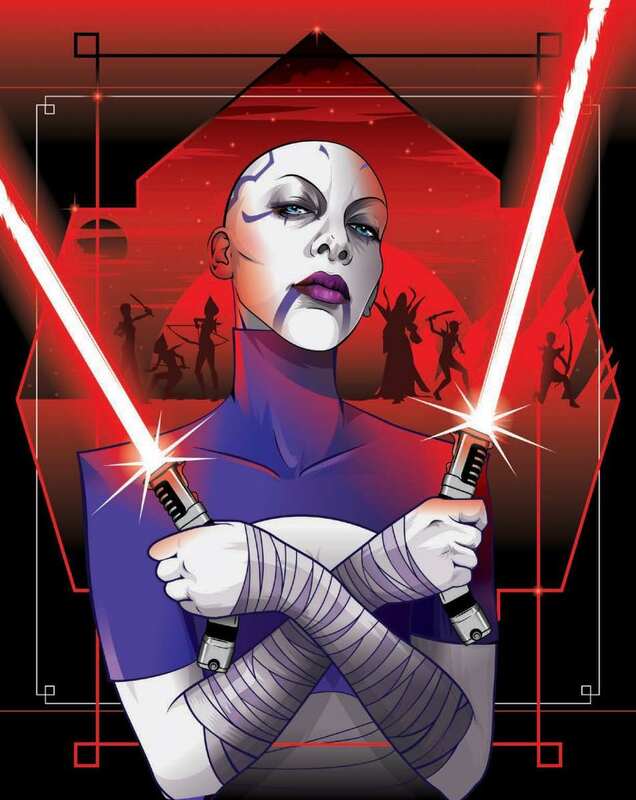 For example, with Asajj Ventress, a villain from Star Wars: The Clone Wars, I had forgotten she literally kills a male character who calls her a “pretty bald babe.” Experiencing some of those moments again was such a joy. I mean, I had to spend a lot of time researching in the Star Wars universe—it was a gift. 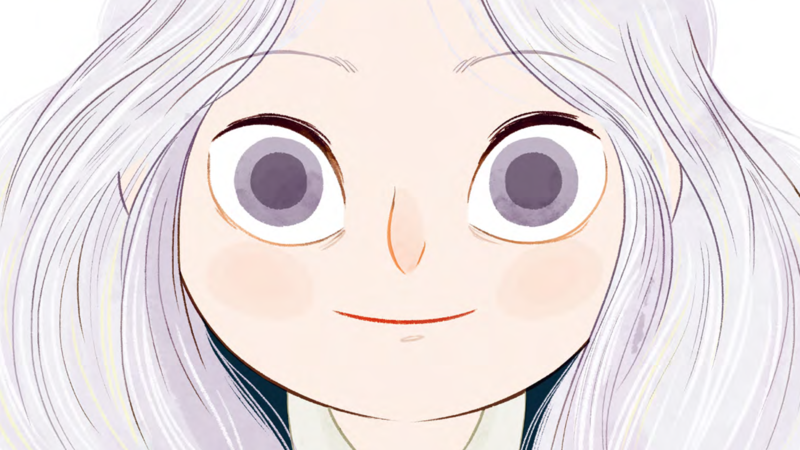 Do you have any personal favorite characters or illustrations from the book? 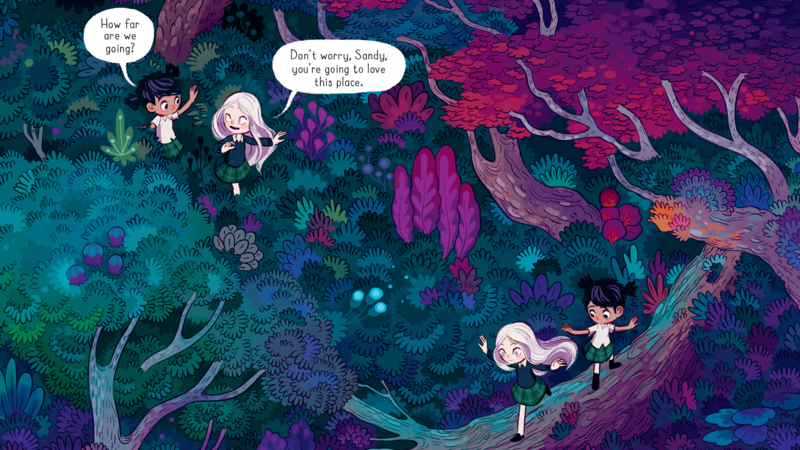 All the art in this book is so stunning. I can't get over how much emotion and presence the artists brought to each illustration; I feel like I can get a total read on what a character is like by gazing at the portrait. 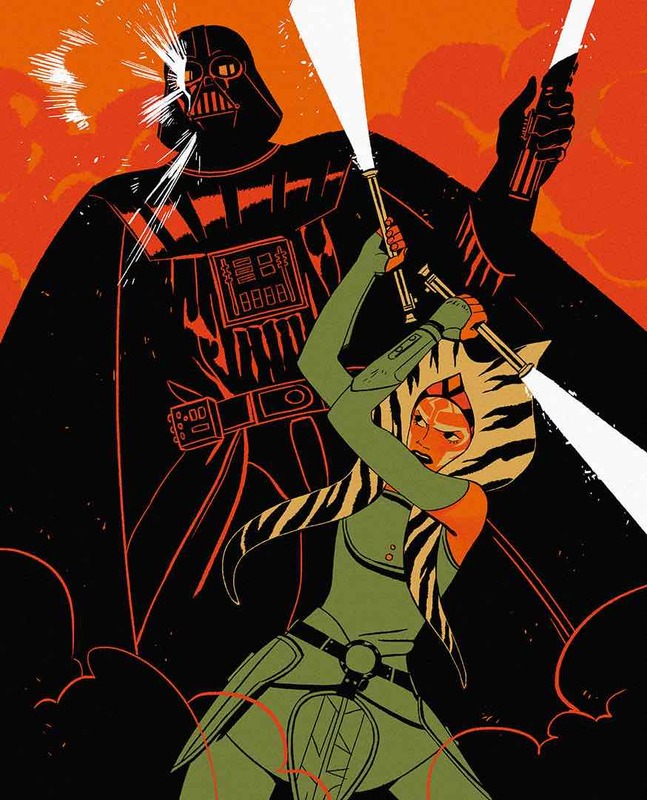 My favorite character is one hundred percent Ahsoka Tano, and because I love the Star Wars Rebel episode that she faces Darth Vader in (“Twilight of the Apprentice”), I was thrilled to see Sara Kipin's art depicting a moment during Ahsoka and Vader's duel. 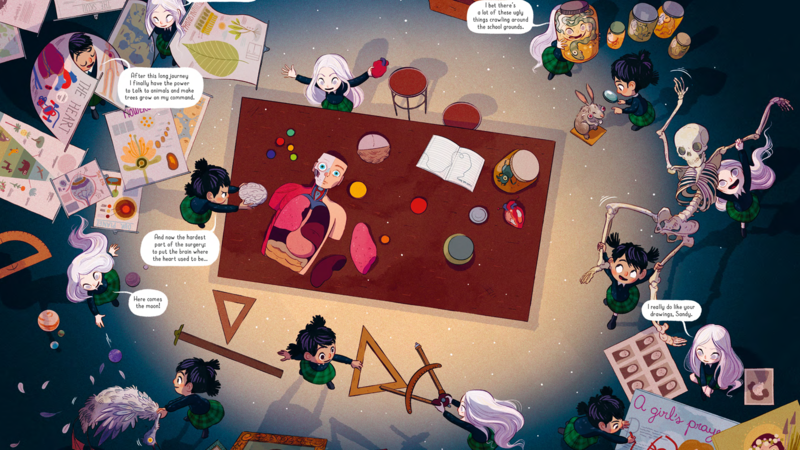 Why was it so important to be able to highlight all of these amazing female characters? Something that really hit home for me as I was writing this book, was just how wide a variety of roles and spaces they occupy. Some are heroes and villains, sure, but others are explorers, or business owners, or bounty hunters. 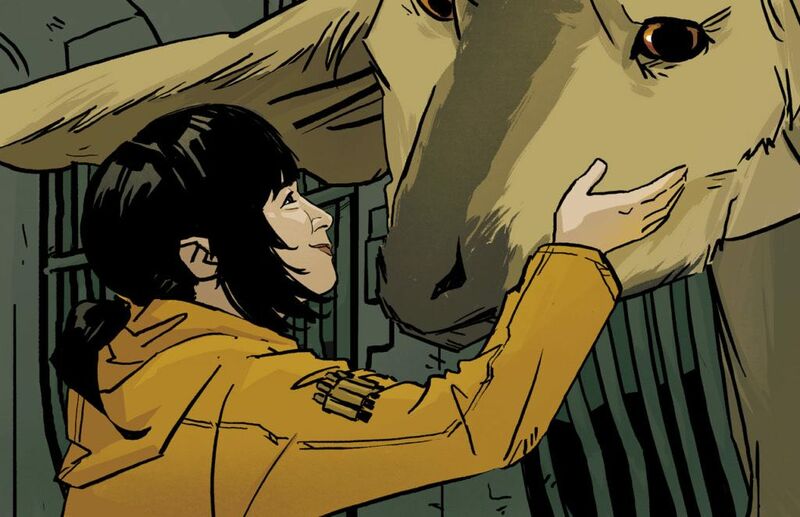 I hope some of the profiles in the book encourage fans to seek books or comics they haven't read before so they can learn more and find the characters that they connect with. What excites you about the future of the Star Wars franchise? I'm kind of floored by how much Star Wars we have to choose from. We have the films, obviously, with Episode IX and a new trilogy and series on the way, but also animated series and the first ever live-action Star Wars TV show. Then on top of that, all sorts of books, comics, and games are being released on a regular basis. I'm excited to see other eras explored and to see a broader view of the galaxy outside of Jedi and the Skywalkers. A lifelong fan of Star Wars, Amy Ratcliffe has written for Star Wars Insider and StarWars.com. She’s a host at Star Wars Celebration and cohosts the Lattes with Leia podcast. Currently, she is a managing editor at Nerdist. Star Wars: Women of the Galaxy is her first book. Find her @amy_geek on Twitter and Instagram. Pick up Star Wars: Women of the Galaxy now! Gallery Nucleus is proud to celebrate Mulan with a tribute exhibition for the film’s 20th anniversary! As destiny would have it, when artist Jisoo Kim received the email asking her to be a part of the show, she was watching Mulan on Netflix. It was simply meant to be. 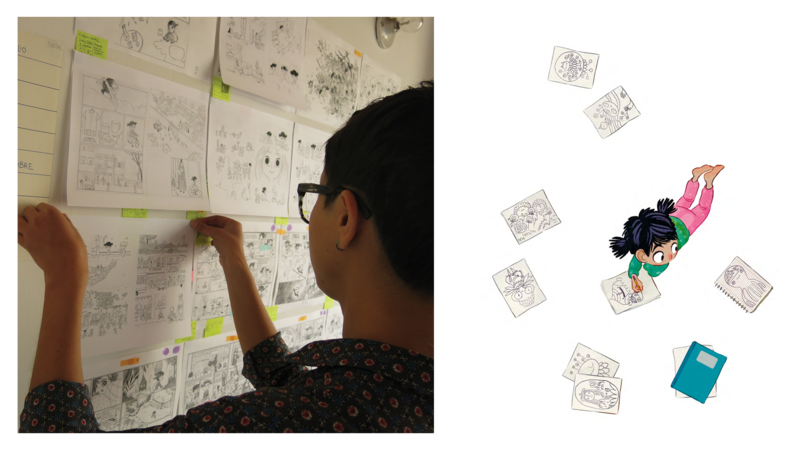 If you are familiar with Nucleus, you’ve probably seen Jisoo’s work before. She has lent her talents to many of our past shows, including our Incredibles 2 Tribute Exhibition, our Disney Television Animation Tribute Exhibition, and Be Our Guest: An Art Tribute To Disney's Beauty and the Beast. 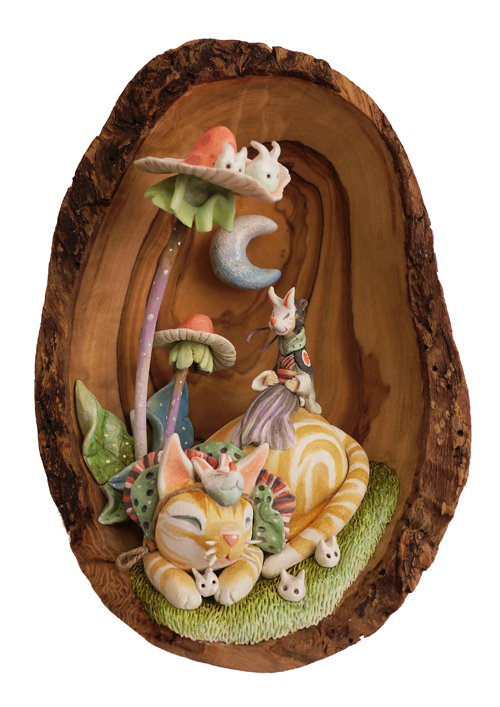 After a hugely successful Kickstarter campaign, she published her first collection of illustrations, Kimchicat Vol. 1. 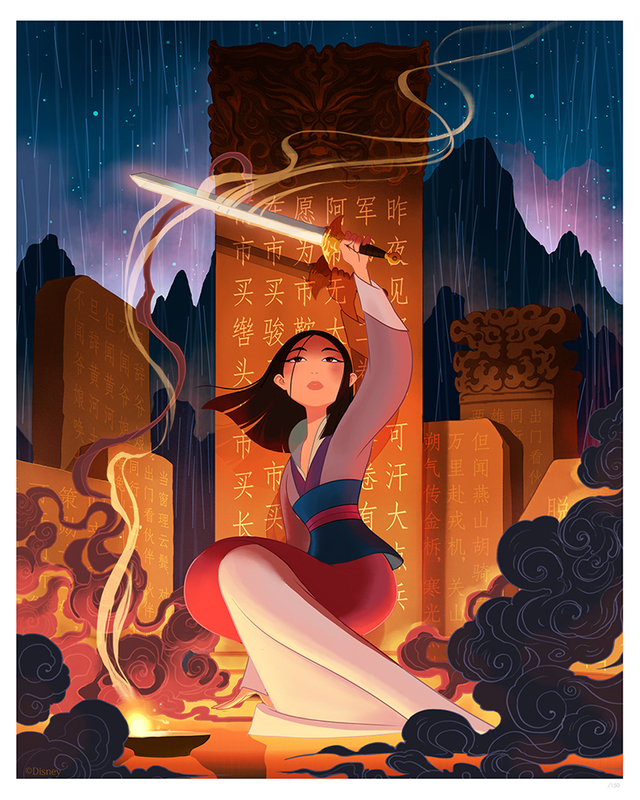 Her newest piece for Gallery Nucleus, “Ballad of Mulan”, is a beautiful homage to the film, and we are thrilled to have been able to include it in this exhibition! Can you talk a little bit about the inspiration behind your piece, and why you chose to depict that particular moment in Mulan's story? There is a moment when she makes her decision to go against everything and everyone she knows. She gives a prayer to her ancestors with the hope of receiving their blessing and good fortune. To me this is the moment she was solidifying her conviction, and giving herself the courage to go on. Everyone has to make a decision like this at some point. Going against all the people you love and trust takes an immense amount of courage. Is this really the right thing to do? What if it all goes wrong, and I have nothing to show? But in the end it also gives you strength to carry on when things would be too difficult to continue. Why do you think Mulan continues to resonate with audiences so profoundly, now twenty years after its release? I was talking with Helen Chen and Linda Chen, both distinguished and amazing Chinese-American animation artists, about how Mulan was the Disney movie that made them want to be in animation. As it was the first Disney Animation feature to have an Asian historic story and young Asian characters like ourselves, we were able to truly put ourselves into Mulan's shoes. Those strong impressions that were made when we were young seemed to stay with us for a long time. 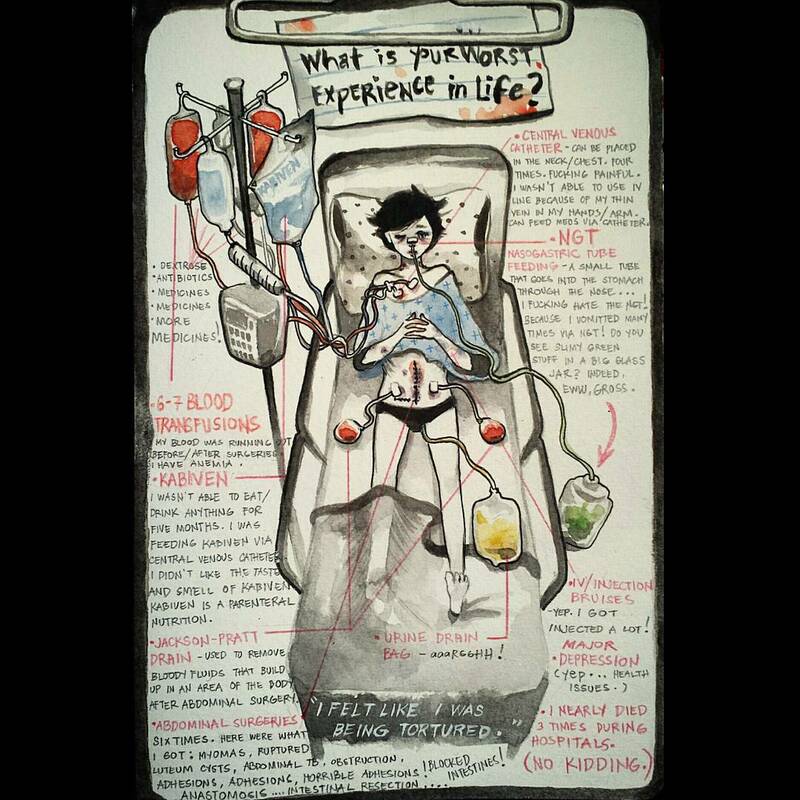 What, or who, have been your biggest influences on the journey to becoming an artist? My favorite movie to this day is Whisper of the Heart, a Ghibli movie by Yoshifumi Kondo. There's a quote in the movie where the grandfather encourages the main character, "I have seen the light of the jewel inside your heart. You are wonderful. There is no need to rush. Please take your time to polish your talent.” It makes me cry every time. This beautiful quote gave me strength when I was young, and now it has an even deeper meaning: For a paper at CalArts, I wrote about the late Yoshifumi Kondo. He passed away at the young age of 47, and it was said to be because of overwork…The balance between work and life, and keeping your mental and physical health in check, is always a struggle for many artists. Why does animation, in particular, have the ability to connect so deeply with viewers? Stories will always draw people in whatever art form it uses, but I particularly love animation [because] the simplicity in drawing and creating everything you see on the screen has a poetic, hidden delicacy to it. Because it is a created art, it can mean so much more, and draw in so many people and have them relate much more easily. During the day I'm at Warner Brothers on the new Harley Quinn show. During the nights I climb, and I'm hoping to publish a book inspired by climbing soon. Jisoo Kim lives in Los Angeles. 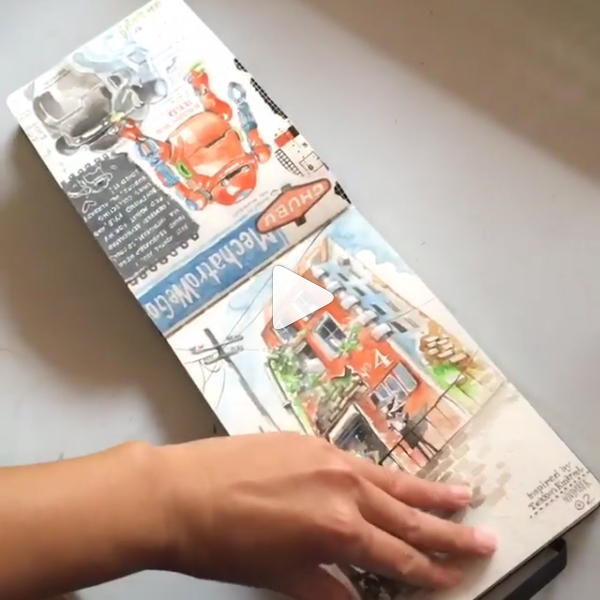 She has studied at CalArts and Korea National University of Arts. 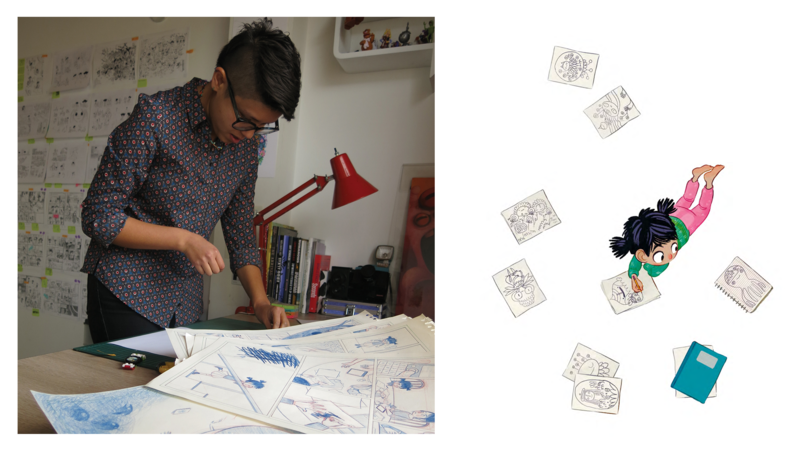 A hugely accomplished artist and passionate about animation, Jisoo has worked for Disney, Dreamworks, and Frederator Studios. 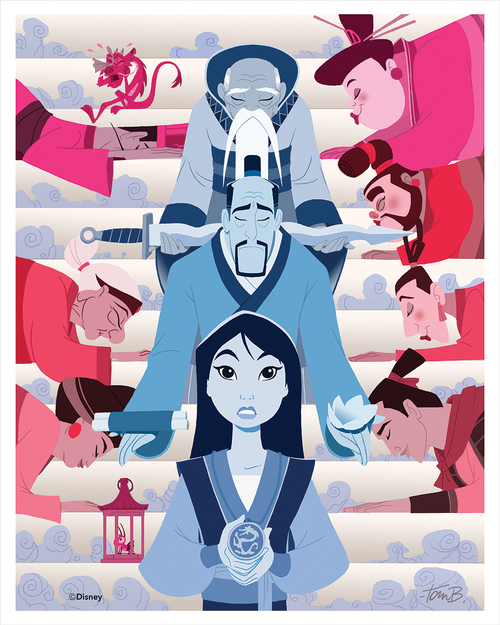 Prints of “Ballad of Mulan” are available on our website. Follow Jisoo on Instagram @jisookimcat and on Twitter @jisooK. 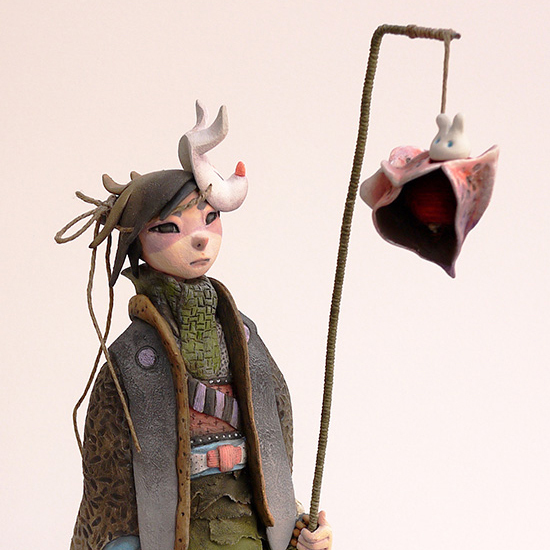 Stop by Gallery Nucleus through November 4th to check out our Tribute Exhibition For Mulan’s 20th Anniversary! 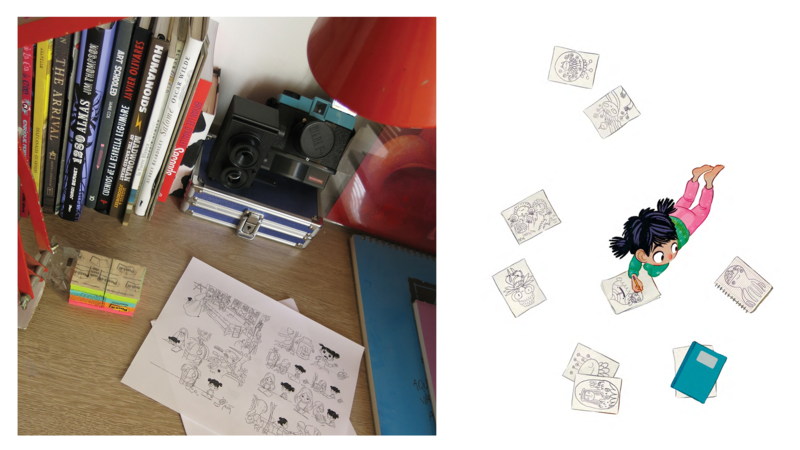 Lorena Alvarez is currently in the gallery for her Nightlights book signing, so we thought it fitting to repost her interview with Matthew Tobin as featured on nobrow.net! 1. Can you tell me a little about yourself and the path you took that brought you into illustration and creating Nightlights? When I wrote the first draft for Nightlights I was living in a small town in Arkansas. Being in a place so different from Bogotá gave me enough distance to see things in perspective, to appreciate my personal story in a different light. 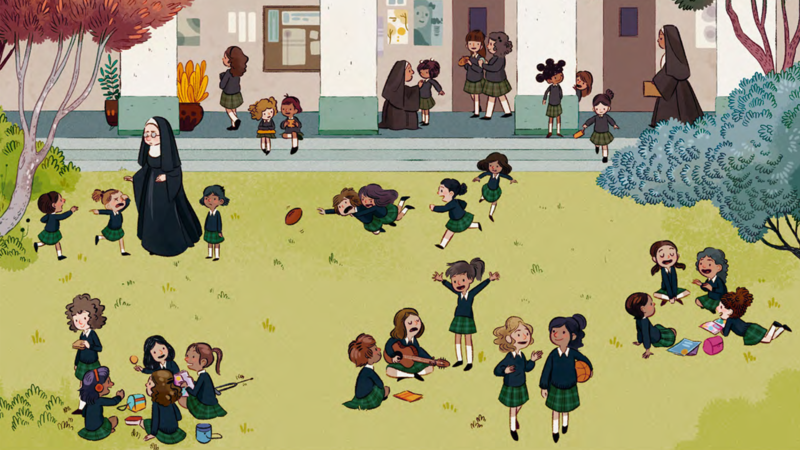 I was educated in a catholic school for girls and it was something I dreaded to talk about, but at some point I realized that the whole experience was an important part of my identity. I thought a lot about the stories we used to tell each other—particularly during our elementary years—and they were amazing. Unknowingly, we mixed the doctrine we learned from the nuns with elements of our own imagination, pop culture and the social context we lived in. With all that in mind I started to work in the plot of Nightlights. This year has been kind of weird because I had so much to do, but I usually try to keep a routine. A typical day for me means to get up at 8am, feed my cats, water the plants, and check the online papers and the mail before getting to work. I like to take time and draw my sketches on paper before taking them to coloring in Photoshop. I dedicate two days a week to write. When it comes to exhibitions I like to paint with watercolors and acrylics, lately I’ve been also working with Ink and bleach. I make time to knit and sew, I haven’t been able to do it lately but i love to do plush toys. Now that I have a little more time I’m planning also to retake my guitar lessons and my swimming practice. 7. All readers will carry on interpretation of what or who Morphie is, but can I ask what Morphie means to you? Morphie is a part of Sandy, that’s why she mirrors her in some panels and that’s why she won’t die or disappear. In a certain way Morphie represents the traps and insecurities you have to deal with when something you love to do becomes your job. I think it is a concern for many artists to lose their authenticity while dealing with the pressure of staying relevant and produce great things all the time to the pleasure and benefit of others. 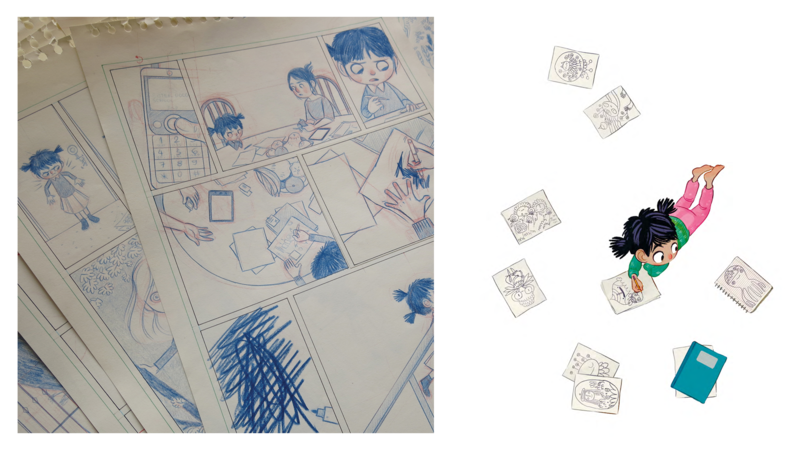 Special thanks to Nobrow Press for letting us repost the interview, and to Matthew Tobin and Lorena Alvarez for the insightful questions and inspiring answers—respectively (this interview originally appeared here)! If you aren't here in-person getting your book signed by Lorena, visit our store and pick up a copy or snag one online.